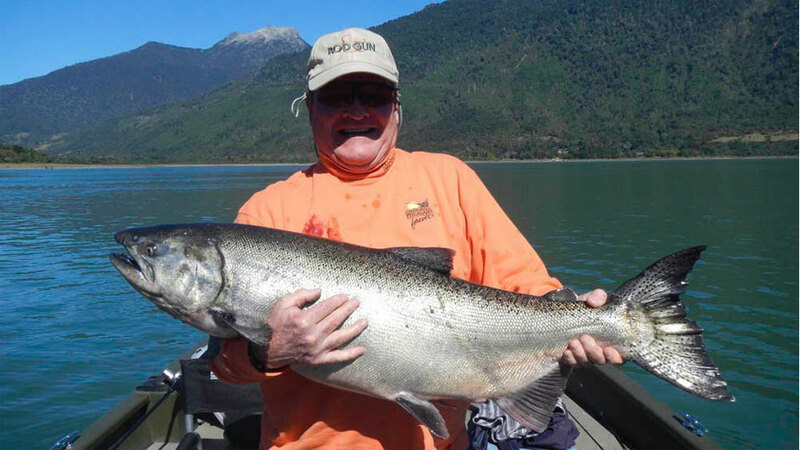 Yan Kee Way Lodge is located on Lago Llanquihue (pronounced Yan kee way), near the small town of Ensenada, Chile, and has breathtaking views of Volcano Osorno and some of the best king salmon fishing in the world. 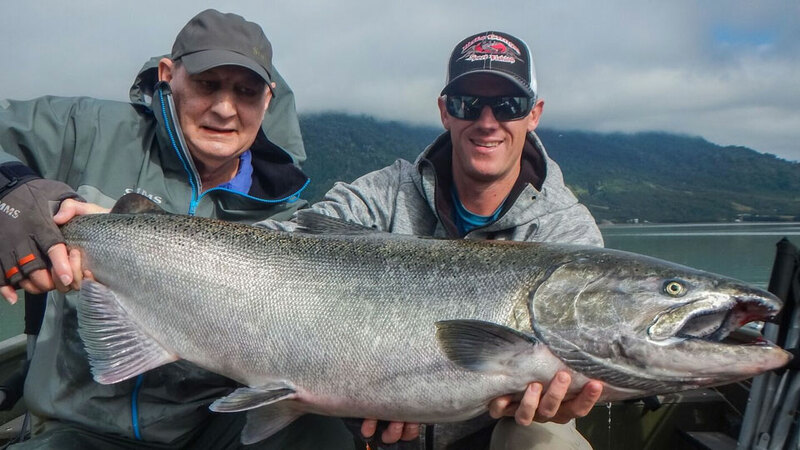 Fly fish for monster kings up to 50-pounds in the Lodge’s home river—the Petrohue River—with single and double-handed rods. 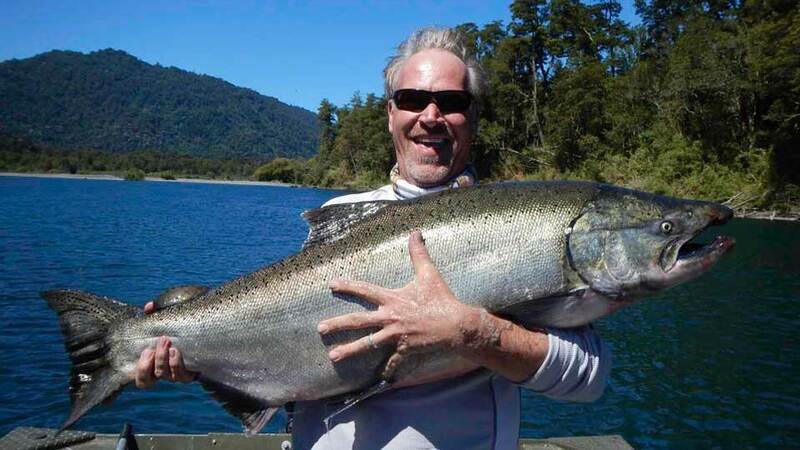 Yan Kee Way is conveniently located to estuary fisheries for large rainbow and sea-run brown trout, and steelhead, as well as silver, Atlantic, and king salmon. 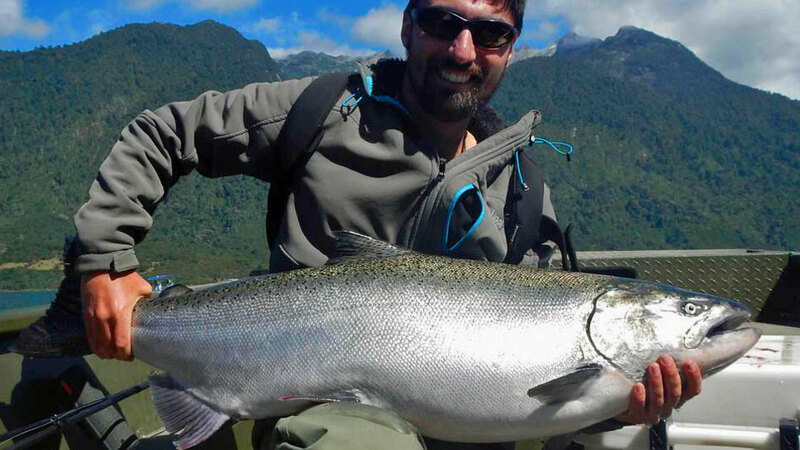 Fishing spots on the Rio Petrohue, are approximately 20 to 35-minutes from the Lodge. Rivers and streams on Lago Todos and Los Santos are only 15-minutes away. Monster Kings: In the river, you’ll be spin casting, and in the salt, you’ll be trolling. 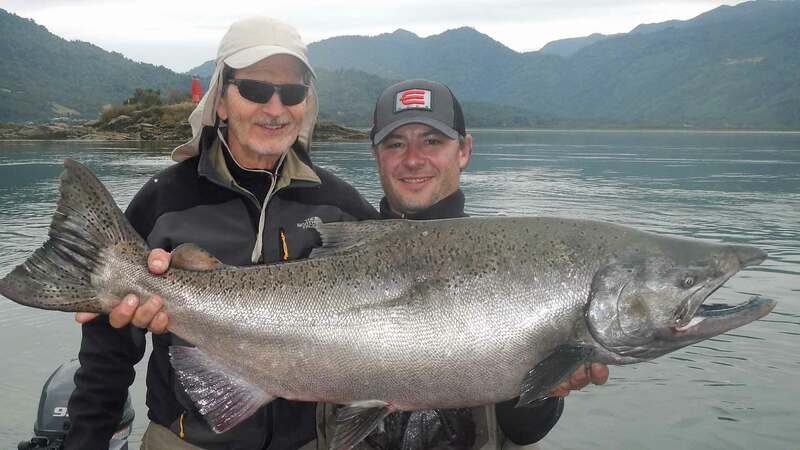 Fly fish for monster kings in the Petrohue River, with single and double-handed rods. Catch-and-release fishing. The run starts mid-January, and they spawn until mid-April. 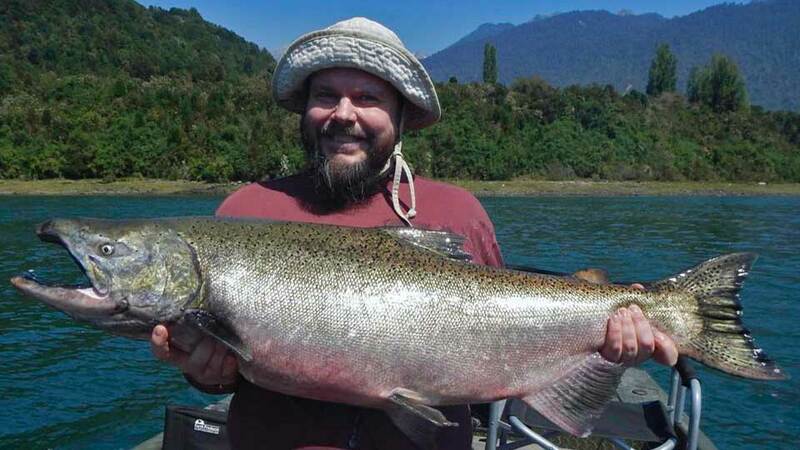 They also fish for them in the small feeder streams of the Petrohue, the San Antonio, Cobre and Saltos Rivers. Numbers are higher for catching in March, but they are starting to color up a bit. 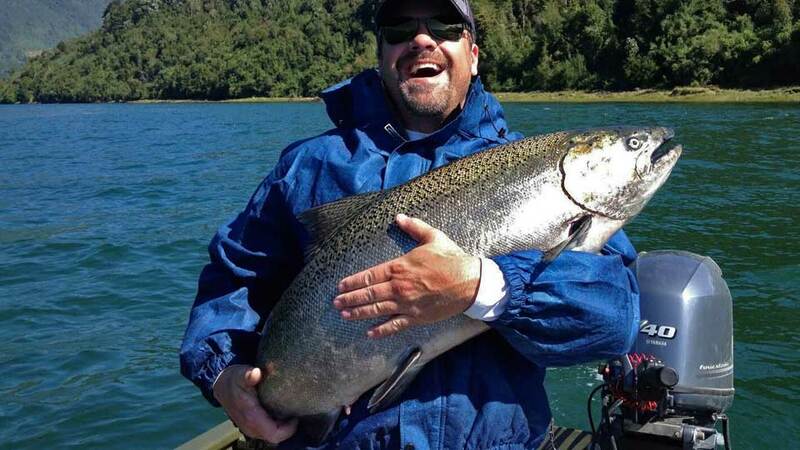 For gear anglers wanting more chrome-bright and hard fighting fish per day, you’ll go to the salt and fish in the Reloncavi Estuary, a 30-minute drive from the Lodge. Troll the best areas with fish finders and great equipment. 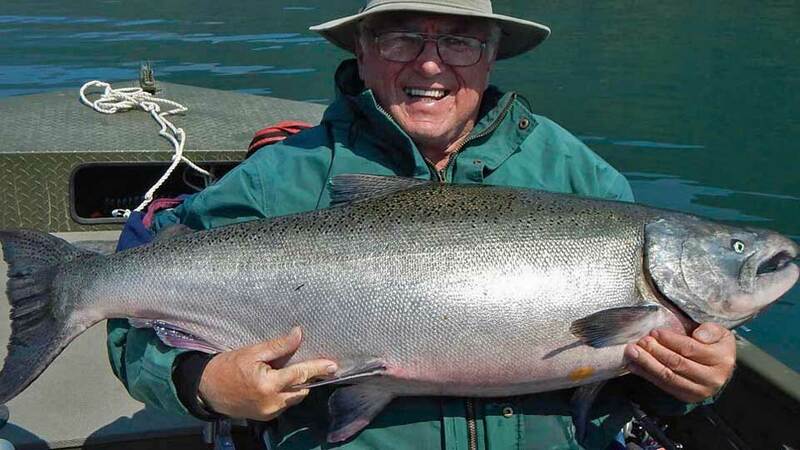 Fishing Season: Their freshwater season runs from November to May, with peak salmon fishing from February to April. Saltwater fishing is available year-round. Boats: The Lodge uses Catarafts, two jet sleds, and an 18’ Lund Alaskan. Float tubes are also available. The Catarafts consist of two 24” inflatable tubes and a rowing frame. Ultra mobile, catarafts allow guides to hold anglers over the fish by back-rowing against currents which would otherwise be impossible to resist in any other type of float or drift boats. Two anglers per boat and guide. Guides: Professional English-speaking Chilean guides. The Lodge also has a few U.S. guides who are here seasonally. Fishing License is included in the package. Sample itinerary: A hearty breakfast is served between 7:30 a.m. and 9:30 a.m. depending on visibility, weather, and where you’d like to fish. You’ll be shuttled to your destination for a full day of fishing (seven to nine hours), with shuttle times averaging 30 minutes or less. A streamside lunch is prepared either at the river or prepacked to your order. You'll be off the water between 5:30 and 6:30 p.m. Dinner is served at 8:00 p.m. Before or after dinner activities include: fly tying station, spa facilities, watching the news, and Wi-Fi access. 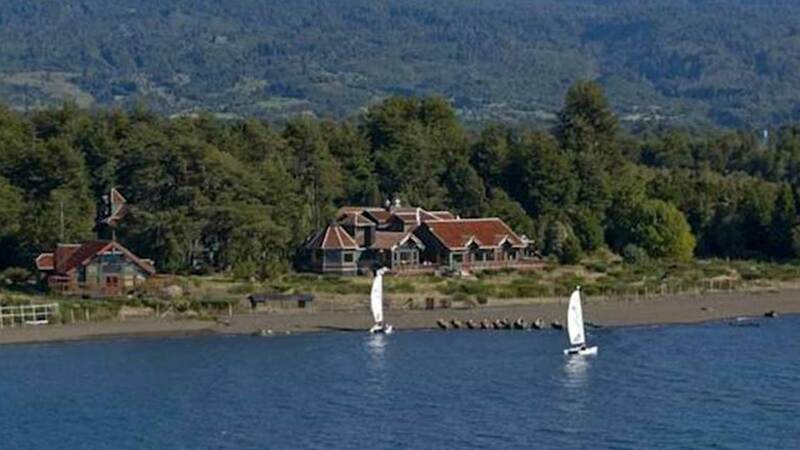 The resort complex sits at the lake’s edge in a small twelve acre forest in the shadow of Volcano Osorno. 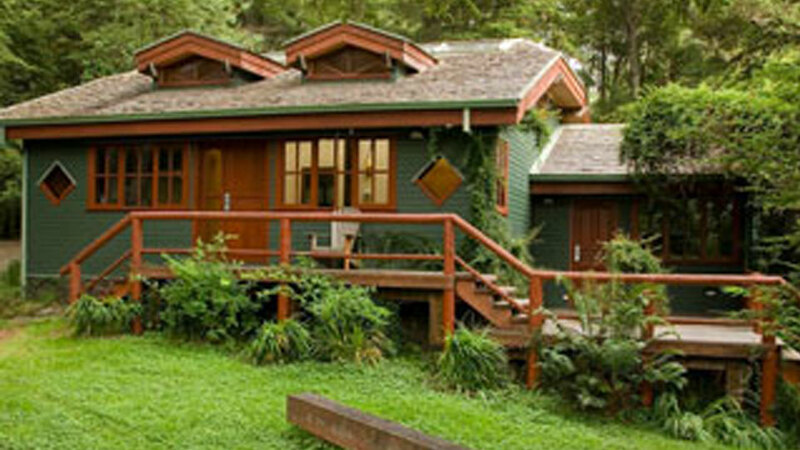 You'll stay in 750-square-foot bungalows with central heating, a living room, Jacuzzi-style bath, and 24-hour electricity. 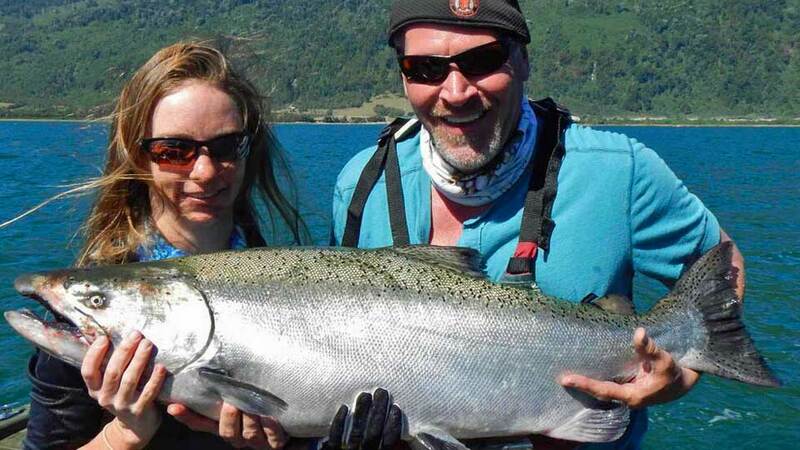 Excellent trip for couples—an extensive list of non-angler activities. 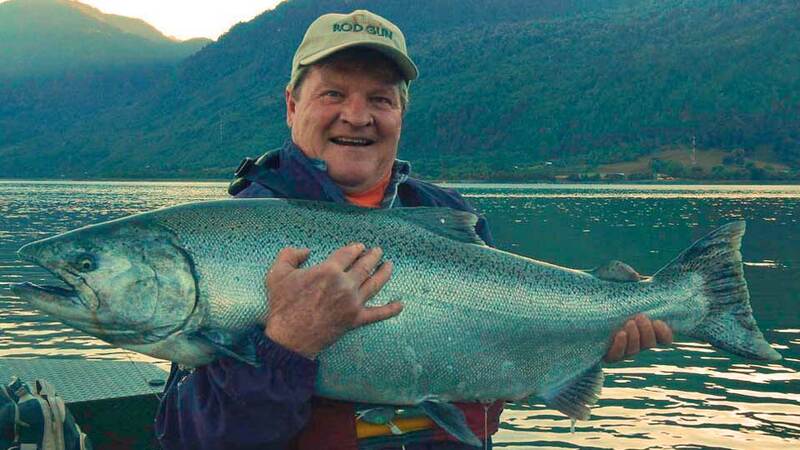 The Lodge caters to 12 anglers per week. Five-star mattresses, goose down comforters, free W-Fi. There is also an onsite spa. The hot tub has a spectacular view of the volcano and lake. There is also a small gym with workout equipment, saunas, a massage room, and adjacent bathrooms. 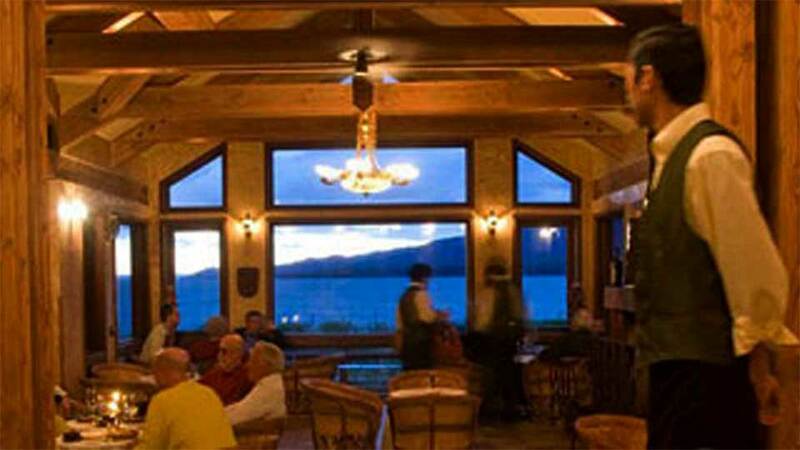 Evening meals are served at the Latitude 42º restaurant at the Lodge which received Frommer’s highest rating and is featured on their Chilean countrywide list of “Best Places.” The Lodge hosts a maximum of 12 anglers per week. 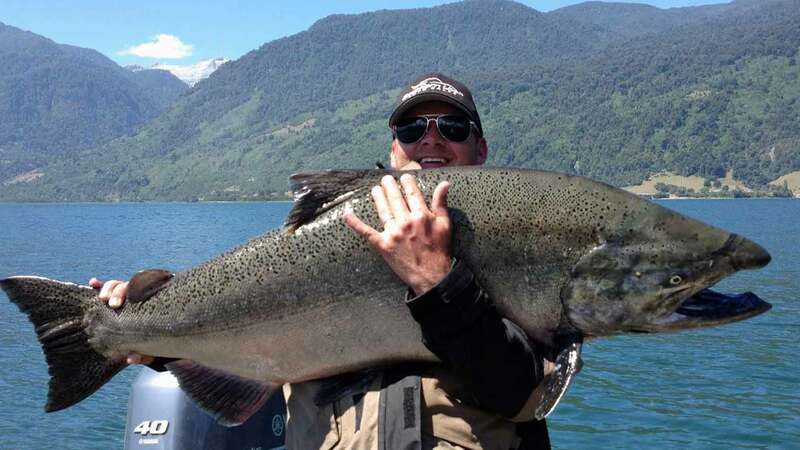 This is an excellent trip for couples, with an extensive list of non-angler activities. You'll fly to the Santiago Airport (SCL) in Santiago, Chile. From there, you’ll take a 90-minute flight to the Tepual Airport (PMC) in Puerto Montt, Chile. Upon your arrival at the airport, you'll be greeted by a Lodge representative. You'll be transported to the Lodge in a Mercedes Sprinter bus, about a 70-minute drive. Roundtrip ground transportation from airport in Puerto Montt, transportation to and from fishing each day, lodging, food, house wines and Pisco Sours, use of boots and waders, use of conventional tackle and gear, and fishing license, and non-anglers, instead of guided fishing, have a list of half-day and full-day expeditions from which to choose. International airfare to Santiago, roundtrip airfare to/from Puerto Montt, well drinks, beer, and liquors, phone calls, gratuities, or other items of a personal nature, or anything not mentioned under inclusions. The run starts mid-January, ends mid-April. 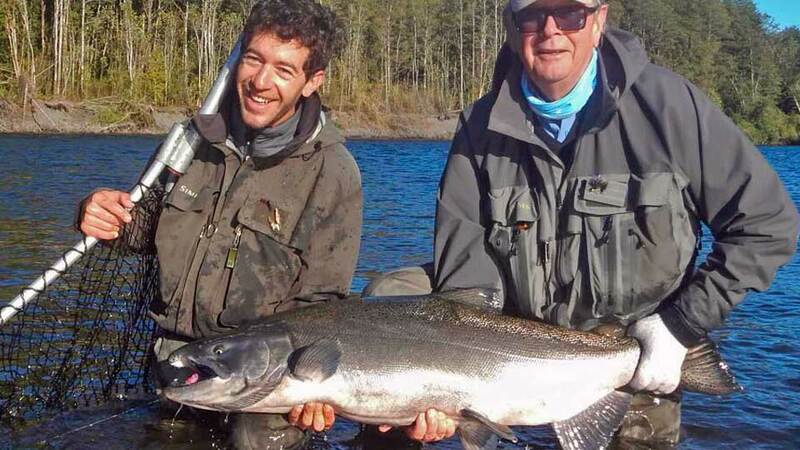 Two anglers per English-speaking guide. In the river, you’ll be spin casting. In the saltwater, you'll be trolling. You can fish from the boat all day, if desired.